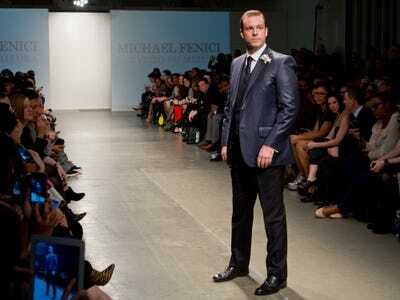 Most fashion designers hire young, slender models to stomp down the runways in their Fashion Week presentations.But bespoke menswear designer Michael Fenici wanted to showcase pieces from his latest evening wear collection on the type of men he designed them for, not “22-year-olds with six-packs” from a modelling agency, he told us. 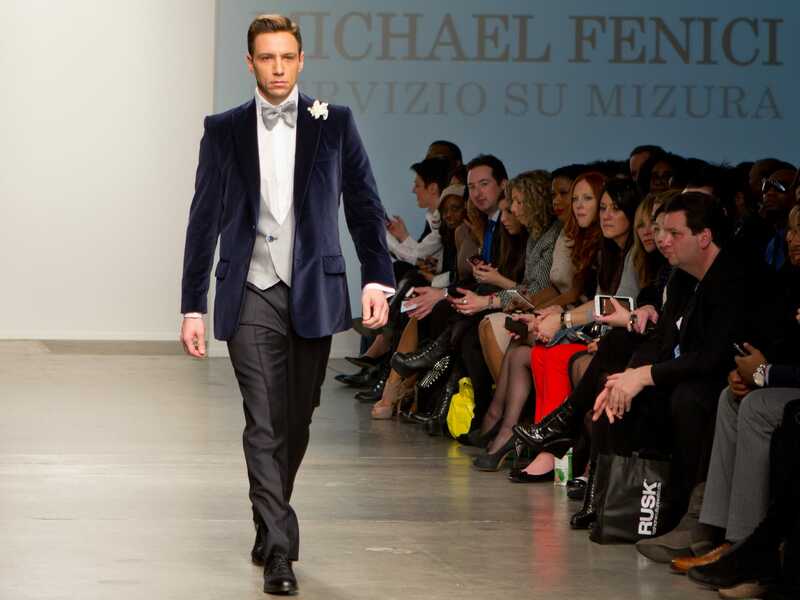 With the help of Nolcha Fashion Week’s founder, Fenici found nearly a dozen New York businessmen to sport his hand-made suits at his runway show. They ranged from the CEO of Star Vodka to the founder of wireLawyer.com. Fenici, who is based in Lebanon, flew to New York three months before the show to meet and measure his models. 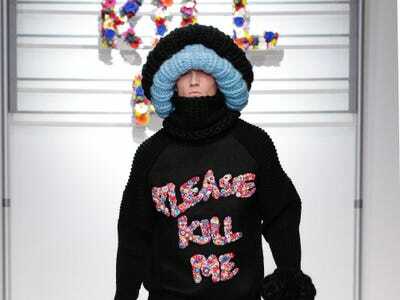 It took him about three weeks to finish the collection, which included plaid paints, tuxedos, and floppy bow ties. For guys with no experience on a runway, Fenici’s real-life models looked pretty good at his fashion show at Chelsea Piers this week. Brett David, the maitre d' at new Lower East Side hotspot The General, looked ready for Christmas in red plaid pants and a maroon velvet jacket. Z100 radio personality Trey Morgan sported one of Fenici's silk bow ties. Entrepreneur Jonathan Stein, who co-founded VNV Media, looked ready to attend a wedding. So did CommVault corporate account manager Tyson Hempel, in this classic tux. We dug the blue and white combo on Sergio Fernandez de Cordova, a member of the Global Entrepreneurs Council at the United Nations. Henry Stimler, the owner of SoHo restaurant Jezebel, shined in a metallic suit jacket. More plaid pants on Charles Ferri, CEO of Star Vodka. Joshua Kaston, VP of Financial Alliance, donned a classic three-piece suit in shades of blue and black. Nolcha president Arthur Mandel proudly wore a cravat. We liked the all-white look on Matthew Tollin, founder of wireLawyer.com. Now see some real male models in strange get-ups.